SAILING IS ABOUT WORKING WITH THE ELEMENTS, SO WE HAVE INSTALLED A 6.0KW OCEANVOLT SYSTEM, WITH A 7.2KW BATTERY BANK. WE PRODUCE ENERGY WHEN WE SAIL THROUG HYDRO GENERATION. IT PROVIEDS US WITH ZERO EMITION PROPULTION WHEN THE WIND IS ABSENT. WE CALL IT OUR IRON GENOA. The ocean is earth largest untapped resource in the race for building a more sustainable habitat for us all. We know remarkably little about the natural sustainable resources available to us. Following our ethos we have chosen a system that allows us generate power (creating energy while sailing) utilising the power of the wind and the friction of the ocean. E/One is what we call a Minimal Viable Boat, and the focus on re-generation of energy is key component of any zero emission system. 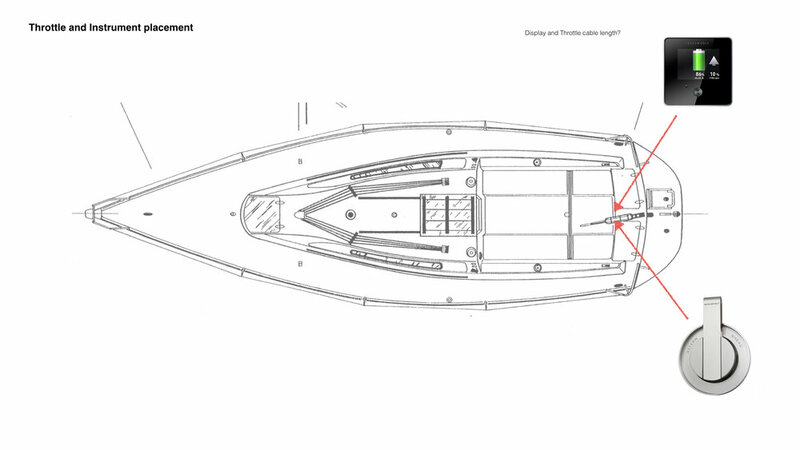 The hydro generation function is an automatic feature onboard E/One. This feature is activated by pushing the button on the control panel for 5 seconds in the cockpit. The system then automatically switch from propulsion to regeneration mode. The highest regeneration power is gained with fixed blade & adjustable pitch propellers and also with dedicated systems for hydro generator use, because they allow using a higher pitch/dimension propeller. E/One is monohull X-99 build in 1986, and provide us with great testing ground for technology. However we have learnt that the regeneration feature is extremely suitable for catamarans because twin motors means double the energy generation. Catamarans are also faster, which means that regeneration power capture is higher. 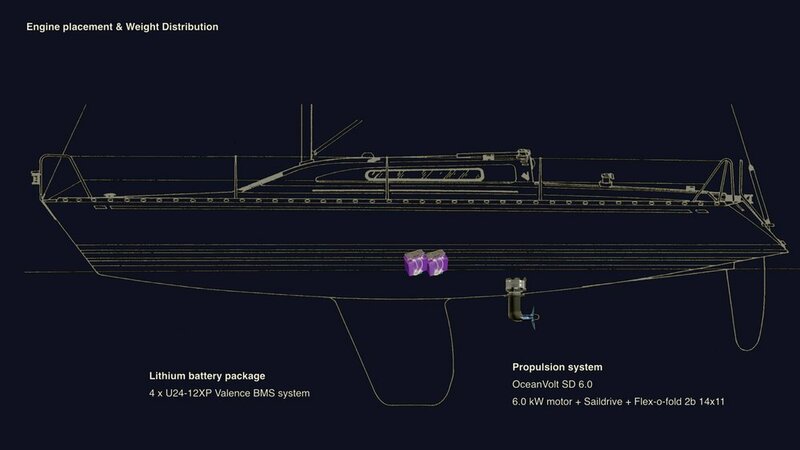 Insight: If the Oceanvolt motor is used only for hydro generation and not for propulsion, the power boost gained from using a higher pitch propeller dedicated for regeneration is about 20-30%.